For runners, there is a new type of relay race that has been gaining in popularity. 12 runners form a team and each runner takes three segments, and each segment is four to eight miles long. When it goes well, it feels so much shorter than a marathon—which it should, because each relay runner usually covers 12 to 17 miles over the course of three legs of the race. But when extreme temperatures, buttressing wind, unrelenting rain, poor navigation skills, stomach distress, and an annoying teammate come into play, the race can seem never-ending. 6 Reasons why relay race seems shorter than a marathon. 1. Your training runs are half the distance of marathon ones. In fact, your individual mileage, in most cases, is far less than 26.2 cumulative miles. On most legs, you run between three and eight miles with a few outliers—11 miles, with 1,000 feet of elevation gain, say—thrown in for the extra-strong runners. When training for a relay, your runs should be 3 to 6 miles, with the longest weekend run being 12 miles. Hill repeats are key because a relay race isn’t complete without a heck of a lot o’ hills; a few tempo runs help you stay sharp. 2. You have the companionship of your van-mates, so you aren’t solo for the duration. It’s also fun to be cheered on by other teams. Bring cowbells and pump up the music on roadside stops—to rev up both your team runner and other sweaty folk running by. Ask your teammates how much rah-rah-rah’ing they want. Some people enjoy sounds of nature, not man-made noise, while others want as much of an audience as possible. Always check the guidebook to be sure you can stop on a section of the race. Getting DQ’d while cheerleading would be a major buzzkill for all. 3. You get to change into a fresh outfit (even your socks!) after running each leg. Pack your gear for each leg, and store it in separate plastic bags in a larger duffel. After you finish your first leg, change into your duds for your second leg and stash your wet, stinky clothes in the now-empty plastic bag. 4. You get to refuel before and after each segment. You can possibly even get water and sports drinks handed off to you midway. Before you hop out of the van to run each leg, make a plan with your van-mates, such as whether they’ll stop along the route to give you a drink. Some legs are labeled “unsupported,” though, which means your team will get DQ’d if the van stops. The route map will clue you in. As for food, know what’s along the course. If the relay goes through rural country roads, such as the Hood to Coast Race, pack in all the food you’ll want. In other races, a Chipotle and 7-11’s seem to be every mile. 5. There are so many delightful distractions on the course. Wildly decorated vans, racers masquerading as Vikings, sweeping vineyard vistas—the miles fly by. Since this is a group effort, not about individual glory, take your eyes off your GPS and take in the scene. Chat up other runners and teams: It makes it more like a party. 6. Marathon runners often divide the race into thirds. Running the first part with their heads, the middle with their training, and the final third with their heart. Three legs of relay can be approached with similar mental strategy: Start slowly and run the first segment steadily and easily without burning out. Let your trained legs carry you on second leg. Then dig deep on your final leg. Now here are 8 reasons why a relay race feels longer than a marathon. 1. You’re training runs may be shorter, but you should do “doubles” (two runs a day) every few weeks. Double workouts are two shorter runs, like a 3-miler and a 2-mile run, done within 12 hours of each other, but no sooner than about 6 hours apart. Bonus points if you run one at night to get used to running with a headlamp in the dark. Don’t worry if the mileage of your race segments are longer than your training runs. 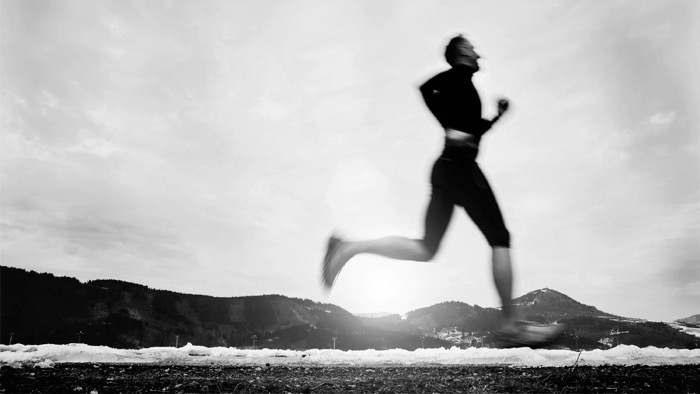 Your legs and body will be honed and ready for race day. 2. It takes you (and your teammates) 24+ hours to complete the race. Get to know each other a bit and make decisions at these meetings. Decide things like who’ll decorate the vans; will you each bring your own food or will a few folks do a Costco run pre-race; will there be “quiet hours” in the van, or will your van be a party on wheels. The more you set up expectations from the beginning, the easier the race will unfold. 3. After you run, you often have to drive the van. You may have to drive on dark, winding, unfamiliar roads. Before the race, talk about who likes to drive, who likes to co-pilot, and who can’t find their way out of a paper bag. Don’t let Always-Lost-Lenny navigate at night! Some teams sacrifice one seat in the van to have a designated driver who doesn’t run. Discuss with teammates if you want a “chauffeur,” if you can find such a generous person. 4. You’re trapped in a van with your un-showered teammates who talk at a caffeinated pace, even at 3:17 a.m.
Earplugs and “Hollywood shades” (a sleep mask) are key items to pack. So is a tarp and sleeping bag; when the other half of your team is running its legs, your van can park and you can sleep under the stars (or midday sun—thus the sleep mask). 5. Yes, you get to change, but you have to do it crouched over in the third row of the van. Hit the port-a-potties as soon as your team pulls into a transition area (better yet: Use the toilet—and sink!—at every Starbucks you pass). And don’t ever, ever bring your cell phone in there. 6. You chow down on a bean-and-cheese burrito, foot-long Italian grinder, and four bottles of Watermelon Waterfall sports drinks before you’ve even stepped out of the van to run Leg 6. Remember your legs aren’t super-long so you don’t have to take in an epic amount of fuel before running. And go easy on the Doritos once you climb back in post-run: Aim for smart refueling with a combination of protein and carbs, such as individual “boxes” of chocolate milk stashed in the van’s cooler. 7. Running along completely unfamiliar terrain with few course demarcations makes the course stretch out indefinitely. But, thankfully, many relays, including all Ragnar ones, set up a “One Mile to Go” sign on each leg. If you’re running a tricky leg, carry a map or consider writing directions on your arm in Sharpie. And have your phone handy. Chances are, somebody will get a little lost during your relay—it’s part of the adventure, natch—but mitigate the chances as much as possible. 8. It can be rough to keep your head in the game with so many starts and stops along the course. About 30 to 60 minutes before each of your own legs, start to focus on your goals, do some warm-up drills, hydrate, and take in some light carbs. When your team crosses the finish line with hands clasped like deliriously happy chain gang, you’ll realize the true relay race math: it’s shorter than a marathon in distance, but longer in fun.